Star Wars has turned into the ultimate touchstone of 21st century pop culture. With its popularity transcending cultures and generations, anything related to the Star Wars franchise is being lapped up by the legions of adoring fans, from smartphones to toys, clothing to coffee mugs, and even door mats and pizza-cutters. Now, there’s a new name to add to that list, with Lucasfilm and Disney bringing a brand new mobile game called ‘Star Wars: Rivals’ that the official press release is describing as “the first real-time Star Wars competitive action shooter for mobile devices”. The game is up for pre-registration on both platforms. It is a cover-based third-person PvP (player vs player) shooter with the action taking place in the Death Star, Jakku, Bespin, Scarif and Hoth. Users can choose to play as any of the legendary characters from the franchise’s past and present, including the likes of Han Solo, Luke Skywalker, Princess Leah, Darth Vader and Chewbacca from the 1971 cult-classic that started it all. The game also features Jyn Erso and Orson Krennic from last year’s ‘Rogue One: A Star Wars Story’. Players will also be able to unlock other iconic characters, like Poe Dameron and Lando Calrissian as they progress in the game. No matter which character you choose to play as, you will be blessed with their special powers, so Darth Vader, you’ll get his Force Choke, as Admiral Ackbar, you’ll get the Orbital Strike, as Han Solo, you’ll get access to the DL-44, or as Chewie, you’ll get to use the Bowcaster. 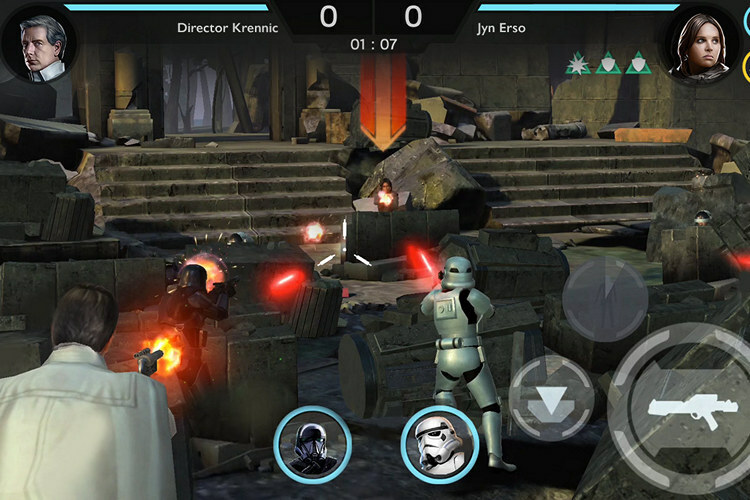 As expected, Star Wars video games is a massive industry, with titles like Tiny Death Star, LEGO Star Wars, Galaxy of Heroes and others, managing to find their own niche among the large, dedicated Star Wars fan base. 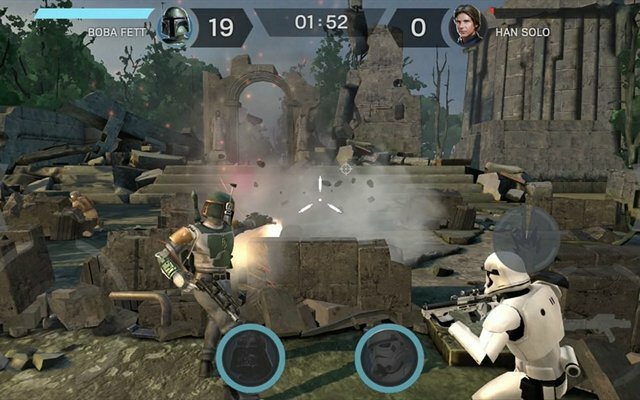 The game is currently available for pre-registration on the Play Store, with early birds getting exclusive access to death trooper support units. In case you’re using an iPhone, you can download the game from the App Store and get Rebel Special Forces (SpecForces) support units. Both versions are free-to-play, but come with in-app purchases that cost between $4.99 to $99.99.